Young Adult Ski Patrol at Notchview is for skiers 10-15 years old. The Young Adult patrollers meet at noon on Sundays for 8 weeks beginning in January, and work along with the adult members of the Notchview ski patrol. The Young Adult patrollers learn CPR, First Aid, orienteering, radio communication skills, GPS skills and leadership skills. They also interacting with the public to provide information and assistance for our guest skiers. 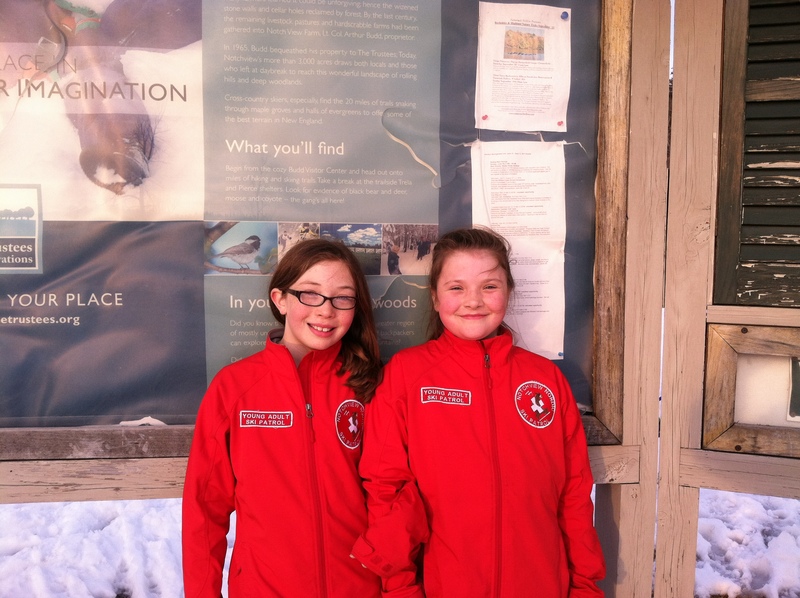 The Young Adult patrollers wear the red jacket of the ski patrol and will carry radios when radios are available. The only cost is for jackets, but sign up early so we can order the jackets before the snow flies. If interested, contact Patrol Director Mary Ann Richardson at tlcmaryann@aol.com for more information. If you are not currently a skier at Notchview, please consider joining our amazing ski community. There’s Magic at Notchview.